Used King Super 20 in lacquer. 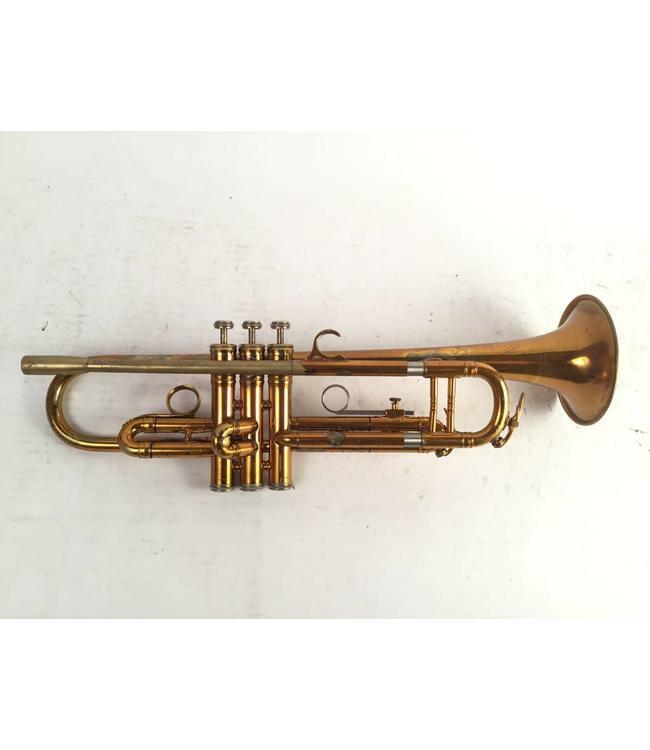 This trumpet is in good shape with added first valve ring, Smith-Watkins 38 leadpipe. Lacquer wear throughout. No case.